How do you capture the essence of a complex topic without putting your audience to sleep? By using an infographic, of course. Not only do infographics do a masterful job of summarizing content, but they also increase engagement. The reason? People are visually wired; they recall 80% of what they see and do. And infographics are a marketing tool that’s being utilized more and more. In 2016, 74% of marketers used visual assets such as infographics in their social media marketing, up from 71% the year before. Add to this the fact that infographics have become easier to generate, thanks to graphic creator sites such as Canva and Piktochart, which provide free and paid templates, and you have a convincing way to share data-driven concepts that are easy to comprehend. 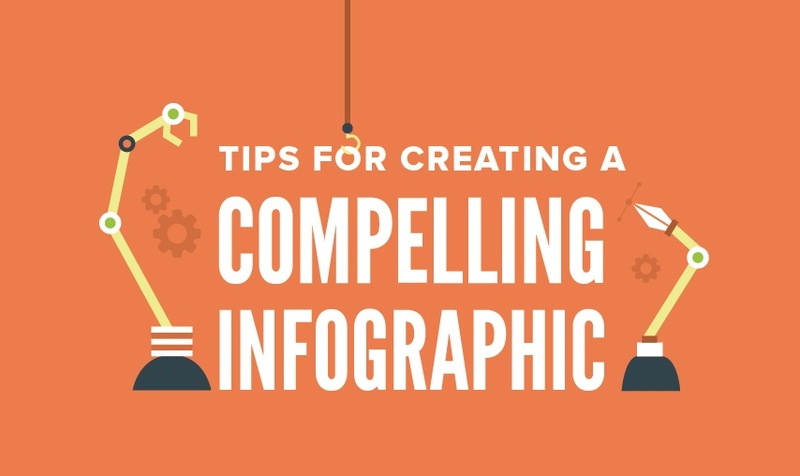 Here are eight simple tips for telling your story through the use of infographics. Let’s face it, as a marketer you know how to create compelling content that engages your audience. So once you’ve done your research on social media and other sites to find the perfect topic for your infographic, take some time to think about how that topic can be presented to your audience. Speaking of your audience, whom do you want to focus on when delivering your infographic? What’s their demographic and where are they in the sales funnel? In addition, what type of imagery will appeal to them, based on their persona? Brevity is the key when creating your infographic. You have to determine the key points and refrain from including superfluous information. You still want to tell a story, but think of it more along the lines of a cheat sheet for your audience. Select a theme that ties the imagery and limited text together. This will ensure that your audience will better understand your message and won’t get lost in a mishmash of random images. The visuals should be the focus of any infographic; they should tell the story, not the text. That said, the text should be easily readable and incorporated in a fashion that catches the eye. Speaking of the text, the purpose of an infographic is to extract key chunks of content that can be used in conjunction with images to help your audience easily digest what you’re presenting. If your audience wants more information, you can create an accompanying blog post. As mentioned, brevity is key, which also pertains to the length of the infographic. You don’t want to include so many images and concepts that your audience has to continually scroll up and down to review the key points. You’re not creating a page-turner; you want your audience to be able to see everything on the screen of their device or computer. Yes, even someone who doesn’t have a background in graphic design can create an infographic these days, but that doesn’t mean you no longer need your creative team’s feedback and ideas. They have a sense of what’s visually appealing. Otherwise they wouldn’t be graphic designers. Infographics are no longer the daunting task that they were even a few years ago when you had to rely on storyboards and sketches and a large design group. Today, templates help you present data quickly and in an appealing way. That doesn’t mean you can’t create one from scratch. It simply means that infographic creation is now in the hands of even the graphically uninitiated and that’s a good thing.